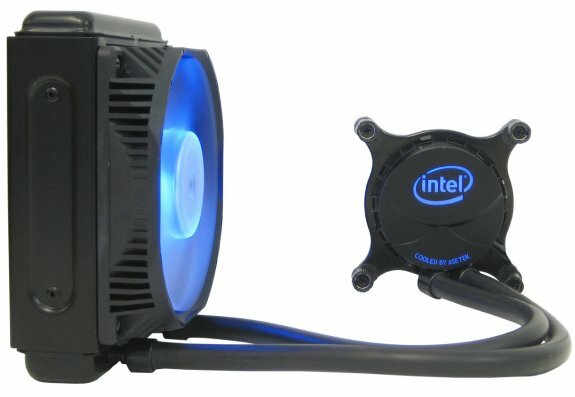 Asetek Inc., the world’s leading supplier of liquid cooling solutions for computers, announced today that Intel has chosen Asetek liquid cooling technology for Intel’s first liquid cooler for Intel processors, the Intel® Thermal Solution RTS2011LC. Asetek will also manufacture these liquid coolers for Intel. The new Intel liquid CPU cooler enables customers to extract greater performance from Intel processors than ever before with an Intel cooling solution. Sophisticated cooling technology is essential to the proper operation of all modern CPUs. The choice of cooling technology impacts both the performance and the acoustics of a PC. The superior performance of the Intel Thermal Solution RTS2011LC makes it the right choice for over-clocking enthusiasts and users of CPU intensive software including applications for digital content creation, CAD, engineering simulation, scientific modeling, financial modeling and PC gaming. "We are proud that Intel chose Asetek to develop the RTS2011LC liquid cooler,” said André Sloth Eriksen, Founder and CEO of Asetek. “Asetek and Intel both see the importance and passion of the enthusiast market and are happy to offer this solution." Asetek pioneered the development of sealed loop liquid cooling in 2005 and is today the world’s largest supplier of sealed loop liquid coolers by both revenue and volume. Asetek and Intel collaborated to design the Intel Thermal Solution RTS2011LC, with Asetek contributing the liquid cooler design and Intel developing the fan that removes heat from the liquid cooler’s radiator. The liquid cooler utilizes Asetek’s zero maintenance sealed loop liquid cooling technology. The liquid cooler’s radiator mounts on the chassis and only the pump and cold plate mount on the CPU, reducing the mass that must be supported by the motherboard. This robust design enables the cooler to meets Intel’s stringent shock/drop testing. The Intel Thermal Solution RTS2011LC water cooler is compatible with the 2nd generation Intel® Core™ i7 Processor family for socket LGA2011, including the new Intel® Core™ i7-3960X processor, as well as Intel® Core™ i7 Processor Family and Intel® Core™ i5 processor Family for socket LGA1366, LGA1156, and LGA1155.